Here's another one of my favorite brushes that I just have to share with all of you. It's the Charm Luxe Flat Top Brush! Been using this everyday ever since I got it. It's the perfect multifunctional face brush. As mineral foundation demands to buff, buff, and buff, create that flawless face with the perfect buffing mineral foundation/powder brush, the Charm Luxe Flat Top Brush! Created with densely packed synthetic bristles, The Charm Luxe Flat Top Brush ensures you a wonderful time in front of your vanity mirror as you enjoy the silky softness of the Charm Luxe Flat Top Brush, and see flawless results with it! 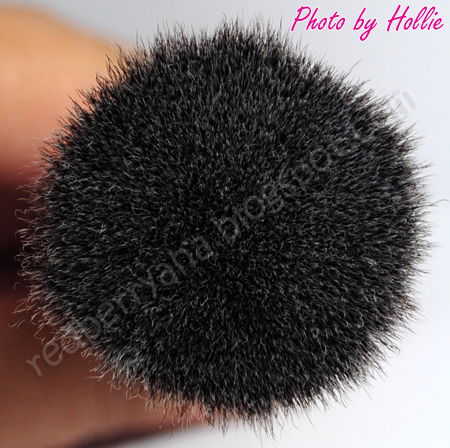 Ultra soft, but firm bristles work their way into perfection! The Charm Luxe Flat Top Brush is great for applying loose mineral foundation, or pressed foundation, to ensure even, buildable, flawless coverage on the face! * it's pink! everyone loves pink! * perfectly dense, just what you need when buffing. * gives an air brushed effect, just buff buff buff! 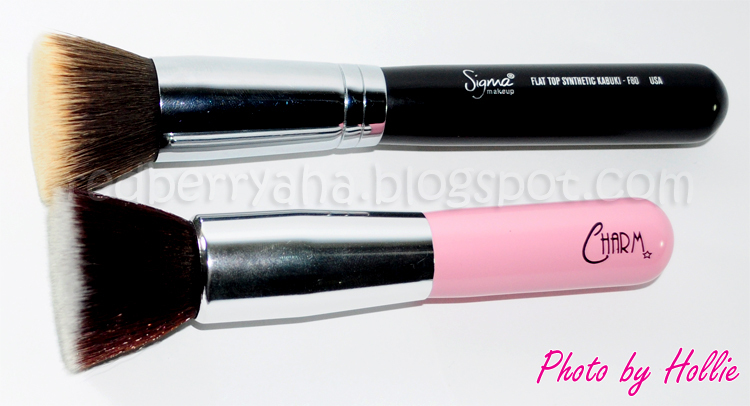 * it's an excellent dupe for the Sigma F80, Yay! * It doesn't come with a plastic brush cover, like other face brushes do. Click HERE to check out Charm Brushes. oh, i 'm loving charm brushes too.. i super love the charm gold kabuki! must have! i need to try some products from this brand charm!! i keep seeing it everywhere and the reviews are always fabulous! super versatile jud sa Flat top brushes! this is my 2nd favorite. The first one is the retractable kabuki. is it as soft as sigma? @Kumiko Mae, Yes it is!